Bring a touch of whimsy and farmhouse charm to your home with Metal Pigs Wall Decor by Prime Taste Artwork. This piece uses dimensional pieces of hand-painted metal to depict inquisitive piglets looking at the viewer and displaying their pink snouts. Bring a touch of whimsy and farmhouse charm to your home with Metal Pigs Wall Decor by Prime Taste Artwork. 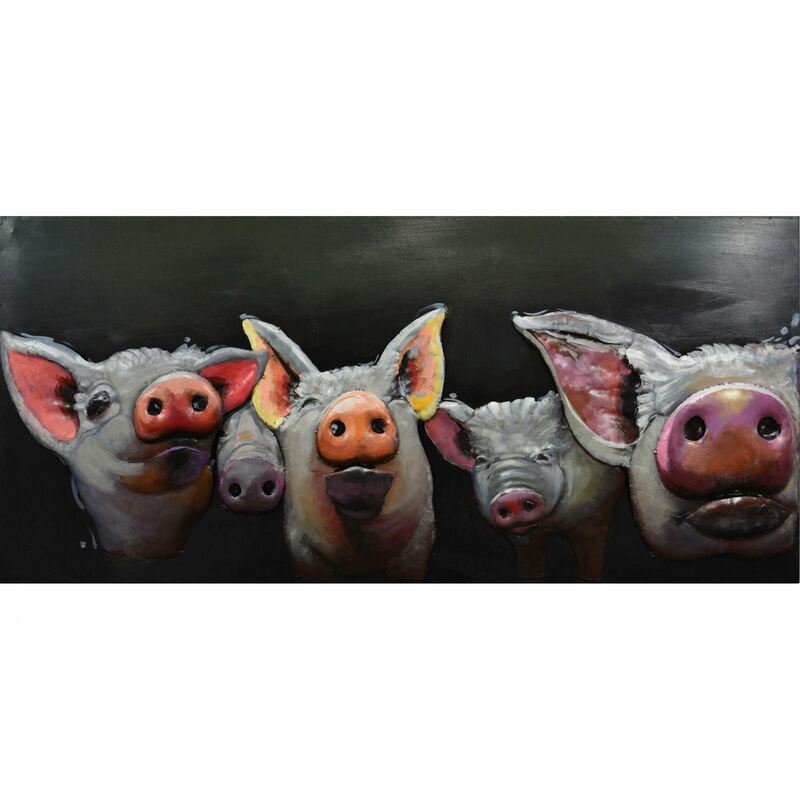 Metal Pigs Wall Decor by Prime Taste Artwork.